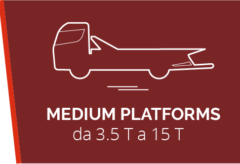 Steel platform for the vehicles loading with weight up to 7,5t. Steel platform for trucks up to 11t. 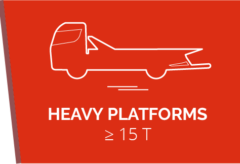 Steel platform for heavy loadings with a central arm suitable for 3 axle vehicles. Underlift complete range for the rescue suitable for each vehicle. Second loading level in order to increase the vehicle loadings on sliding platform.